A very tasty vegetarian curry that I thoroughly enjoyed! I used a traditional recipe but threw in a few things of my own near the end to enhance the taste so maybe not truly authentic! I started with a recipe from “Curry Nation” by Madhur Jaffrey. First of all you need to fry your chunks of Paneer in batches in hot oil until they are slightly golden all over. Be careful as they spit! Remove from the pan and put onto kitchen paper to drain. In a large frying pan add oil and set over a medium heat. When hot add the onions and fry until see through then add the cumin seeds and cook for another few minutes. Add the garlic ginger and chilli and reduce the heat and mix well for 5 minutes. Add a splash of water if it starts to burn on the bottom of the pan. Add the tomato puree and some salt and then remove from the heat. Blend this sauce and then put back into the pan and add the garam masala, tumeric and fenugreek leaves and combine into a paste. Add the peas and stir into the paste for a few minutes teh add half a pint of cold water. Bring to a boil and them reduce to a simmer for 5 minutes. Add the paneer and warm through. At this point I tasted the sauce and thought it lacked richness so I added a tablespoon of butter and a bit more salt and a splash of white wine vinegar to make it a bit tangier. I also added a little more garam masala and fengreek until I thought that it tasted rich enough. Just be careful to add small amounts if you are trying to change the flavour though – you can always add but you cant take away! A few splashes of magi liquid seasoning also brought the flavours out a lot more. Sprinkle with chopped coriander and serve with rice and nann! I have eaten a lot of currys in my time mainly preferring king prawn. However, this has definitely opened my eyes to vegetarian curries. 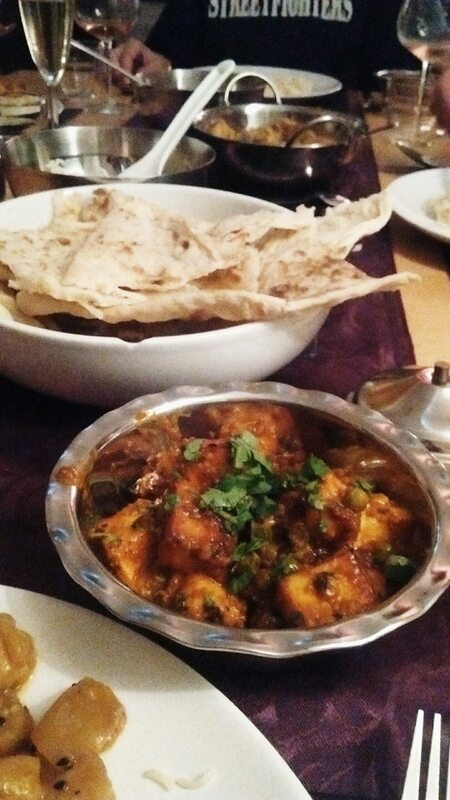 By far the best paneer curry i have ever tasted!! 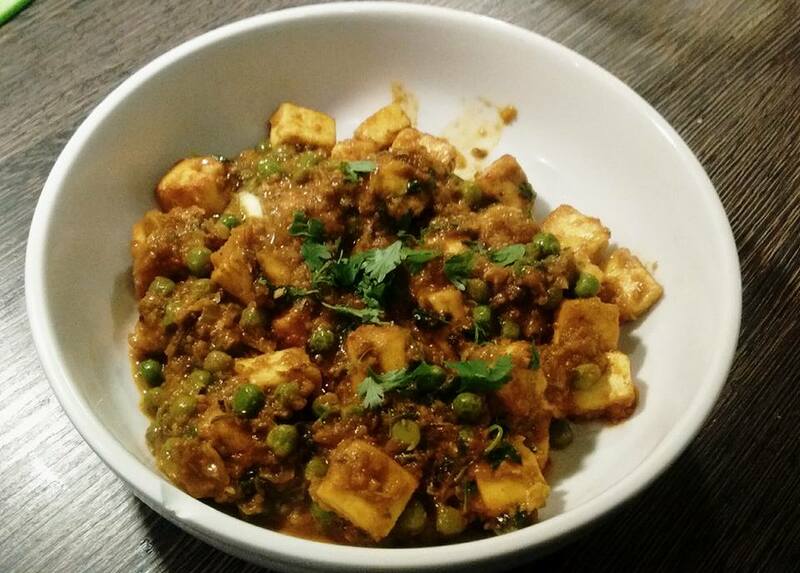 Absolutely loved this paneer dish cooked by Gor. Frying makes the paneer texture perfectly firm, add an aromatic mix of tasty spices and it is very tasty. I’m definitely going to try this at home, hope it will convince my husband that he likes Indian flavours!